Cycling is enjoyed by thousands of Canadians living in the GTA. Toronto alone ranks as one of the most bikeable cities in Canada according to the CBC, in fact some of the toughest Torontonians will even bike all year round! However, if you’re amongst the majority of seasonal cyclists in the city you may be wondering where the best place to store your bike is until the sunny skies and warm weather return. We have listed few options below. If you have some wood beams in your home or apartment one option is to buy some hooks from a department store and install them in your place. As long as you don’t mind drilling holes in your home and provided you have high enough ceilings this is a relatively simple technique that tends to work with all bike types as they typically hang from the wheels. One outdoor option is to lock up your bike and cover it with a tarp. This option is relatively simple and easy to execute as long as you have somewhere outside to keep it. Drawbacks include less security and your bicycle being exposed to various degrees of freezing temperatures and potential rust if the tarp isn’t fully secure. If you have enough space indoors and don’t wish to install hooks in your ceiling or perhaps would struggle with getting the bike up there in the first place, a good option would be using a bike stand. A bike stand is small, simple, portable and can be folded away when not in use. The best option for you will depend on your own individual circumstance and scenario. 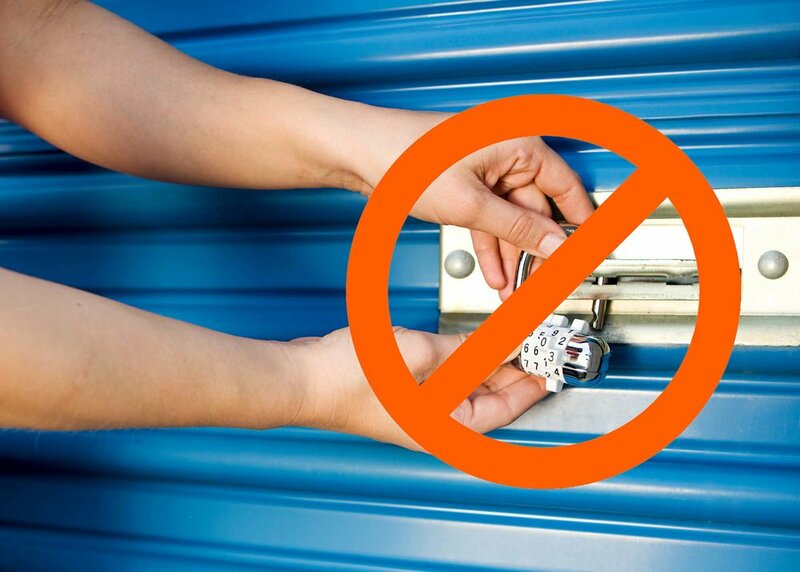 If you’re interested in looking at self storage unit rentals we have many options available that won’t break the bank. Make sure to take a look at our units listing for our latest prices and promotions.